Well-known for its muskie-catching abilities, this bucktail is great for use all season long. This outstanding lure is offered in ten great color and blade combinations. 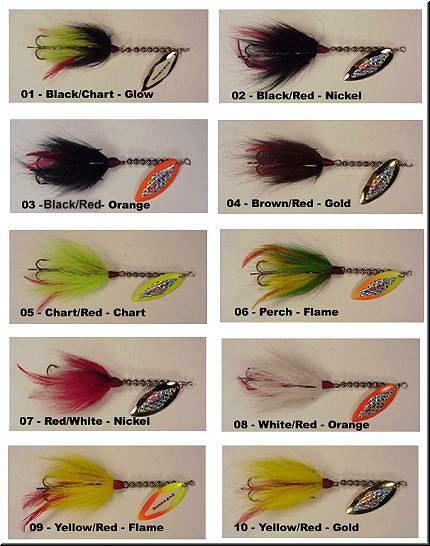 The 05-Chaer/Red - Chart Is Out Of Stock!! !